Last week I discovered (thanks to Twitter) that Friday was Roald Dahl day. Which makes today the perfect day to share this quote I've had saved on my list of favorites. 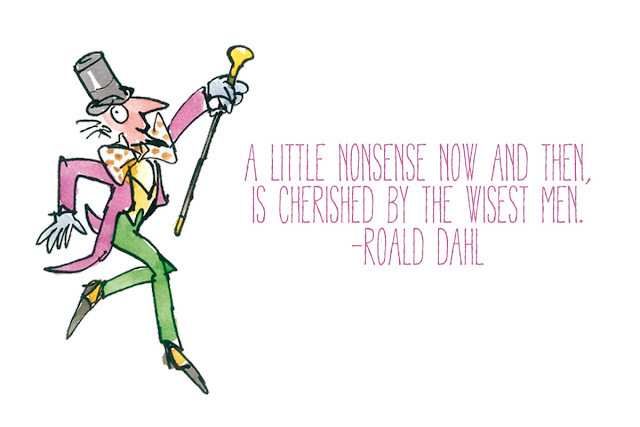 And if you're looking for more words of wisdom, head on over to my friend Chelsea's blog, Little Red Chair, for her post on Dahl, what his books meant to her as a child, and a collection of more great quotes from the children's book master.